I promise this is my last piece about H1Z1 for a while, because I officially quit. Last week I reached the promised land, the deluxe apartment in the sky if you will. 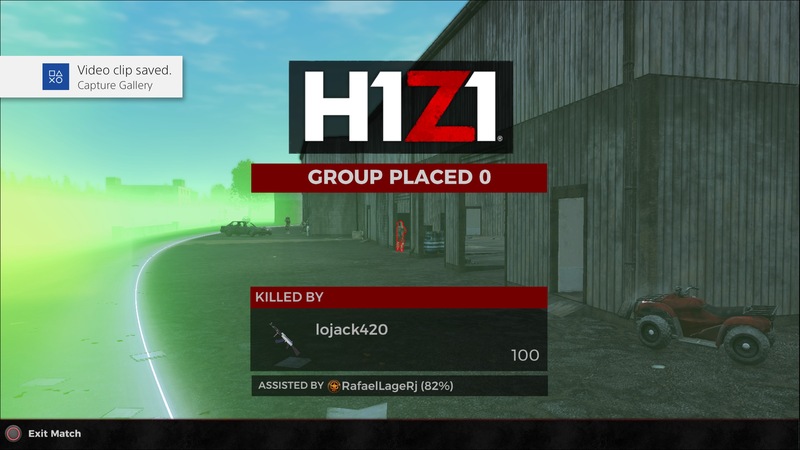 I hit level 100 on the H1Z1 battle pass. That’s right, praise me for accomplishing in roughly two months what most of you likely finished by the end of week three. Gaze upon my mediocrity and be amazed for all the wrong reasons. I won’t be coming back. I could go on for hours about how absolutely incompetent the H1Z1 team is, but I think anyone reading this wouldn’t be too surprised that the same company that has fumbled the ball so many times with H1Z1 and its other projects would do it again. For more information on my gripes, please refer to my last rant. In the time since I wrote that article a few weeks back, H1Z1 has not improved. In fact, it has managed to continue degrading. The shotgun is so stupidly overpowered that it can one-shot someone at full health wearing armor, while the crossbow was severely buffed with an EMP explosion that will knock out cars for an extended amount of time, do a lot of damage, and basically ruin your enjoyment of the game. These top Week 7 having only two depraved challenges being two kills within the orchard in map grid J2 within a single match and getting to the transmission tower at the top of Spence Hills while specifically driving a pickup truck. Parachuting into Cranberry is a lot harder when you have no control over where you start and the game has still refused to drop you in that area after all this time. Getting 7 kills in the hospital in B7 is difficult enough as it is, assuming that (1) B7 isn’t part of the area immediately or shortly thereafter covered by fog and (2) you can even find people in there. I’ll add in a (3) for good measure, that the game doesn’t bug out and actually tracks the kills. The same goes for getting 10 kills with the explosive weapons, it wouldn’t be on the list were it not for Daybreak’s shoddy programming meaning the challenge is basically broken. Going back to prior challenges has shown multiple that by all means I should have achieved by now that are either not properly tracking or just flat out broken. Daily challenges similarly seem to be riddled with bugs and many of them can’t be completed. The game for some reason absolutely abhors recognizing the player performing emotes, I noticed it has started handing out ridiculous daily challenges like “destroy 99 chairs within Cranberry” which is just fantastic and isn’t a tedious chore. And it seems like the population in H1Z1 is dying fast as the ratio of full games to not full games during what should be relatively peak hours is declining. I played a few fives matches on Saturday afternoon this past weekend where the game couldn’t grab more than 70 players before the match began. Played a few free for all matches that same day that weren’t even half-full (some were as low as 11 people). H1Z1 hasn’t hosted an arcade mode in a loooooong time. Lag in matches seems to be getting worse as the game goes on, as I have seen numerous rounds where I die because the person is literally teleporting around the screen and can’t be shot. It’s like playing old Quake on dial-up. Had this been on the PC, I’d suspect foul play. Since it’s on the Playstation 4, I’m fairly certain it is the game. Obviously these are all anecdotal and from my own perspective. So I am officially washing my hands of H1Z1, and will start posting Diaries From articles for games that I am actually enjoying playing.